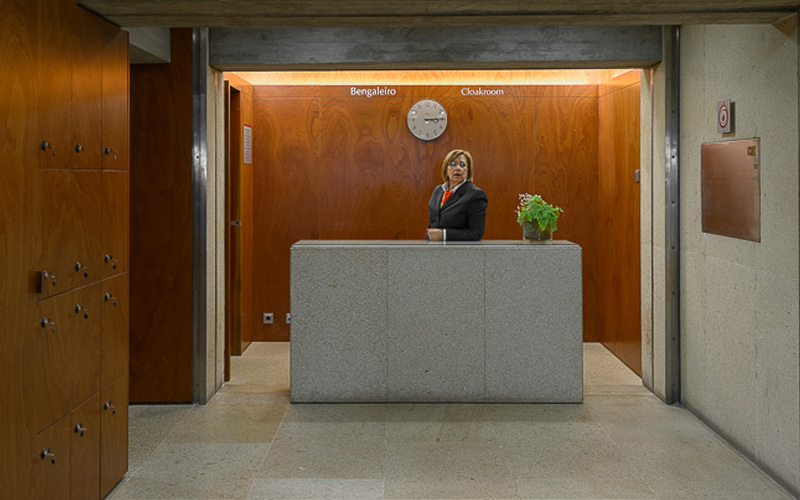 In addition to the galleries, the Calouste Gulbenkian Museum provides other services to improve your experience such as free cloackrooms, restaurants and shops. When you finish visiting the Founder’s Collection, don’t forget to stop by the Museum Store, where you can find all sorts of gifts and souvenirs related to the Museum’s Collections and Exhibitions. 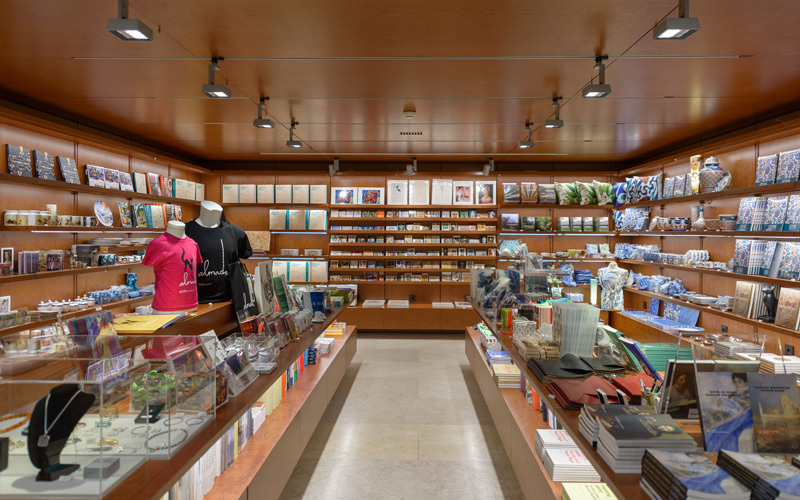 At the Modern Collection browse through the Almedina Bookstore, specialized in Art, with an area dedicated to children books. Open from 10:00 to 18:00 and closed on Tuesdays. 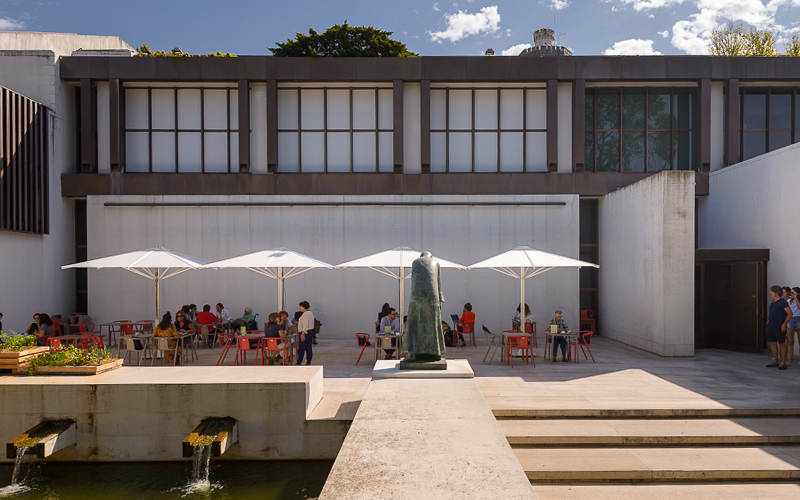 You can find in each Collection building a restaurant-café with a terrace overlooking the garden and an Ice-cream shop amid the Gulbenkian Garden. Both restaurants are open from 10:00 to 18:00 and are closed on Tuesday. The Ice-cream shop is open everyday from 10:00 to 20:00. You can purchase your tickets online or at one of our ticket offices, located in both Museum buildings and are open from 10:00 to 17:30 (last entry to the museum). The ticket offices are closed on Tuesday and on the following holidays: 1 January, Easter Sunday, 1 May and 24 and 25 December. 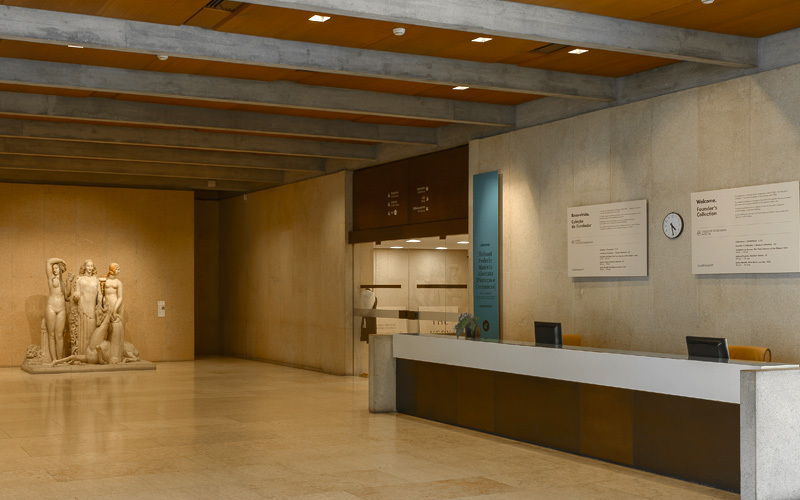 The Museum offers a free cloakroom service during its opening hours where you can store your belongings, including travel luggage. 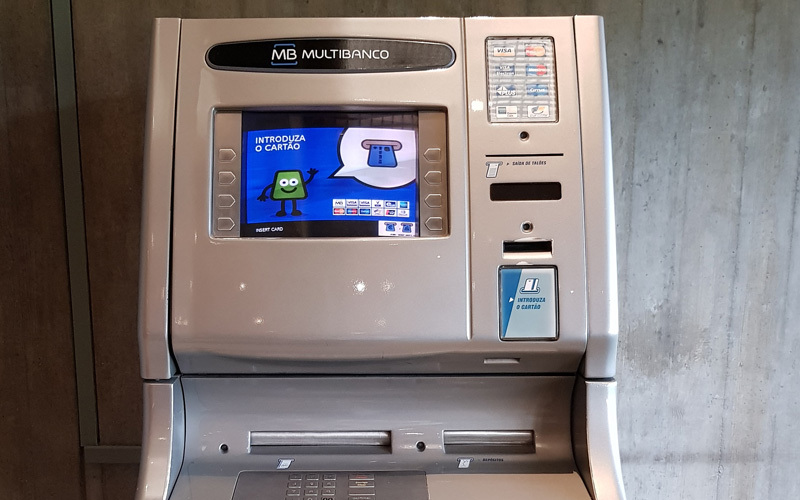 There are two ATMs available: inside the store on the Main Building and at the entrance of the Modern Collection, next to the Almedina bookshop. 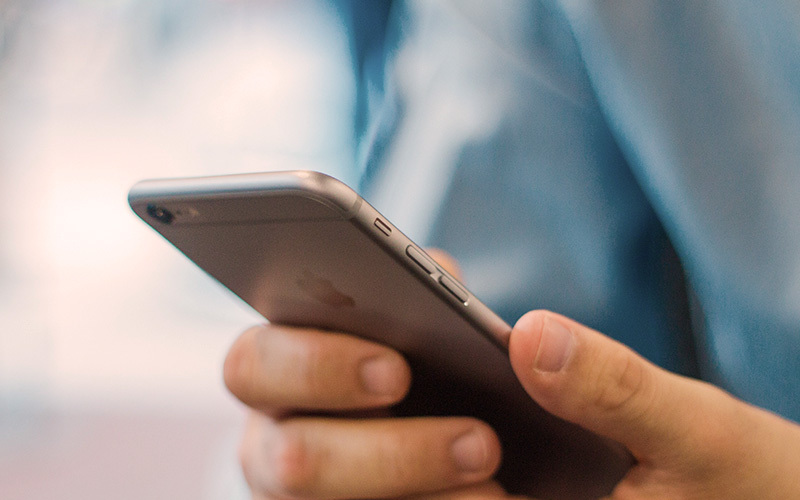 Always online? Enjoy our free wifi covering the entire Calouste Gulbenkian Foundation, including its Garden.